("science of craft", from Greek τέχνη, techne, "art, skill, cunning of hand"; and -λογία, -logia) is the collection of techniques, skills, methods, and processes used in the production of goods or services or in the accomplishment of objectives, such as scientific investigation. Technology can be the knowledge of techniques, processes, and the like, or it can be embedded in machines to allow for operation without detailed knowledge of their workings. MYOPIA (Near sightedness) is a disease where a person can see nearer objects easily but have to face difficulties to watch farther objects. He seems to see blurry images. If we go to the eye checkup then most of the doctors give eye glasses to wear but you probably dont know that eye glasses, contact lens can never makes your vision perfect .These Eye glasses ,Contact Lens are not permanent cure .Actually these can makes your vision even worst than before it was. So you are thinking about doing expensive Eye surgery Lasik Surgery .Most of the people who had done Lasik surgery are not happy today coz it is not sure that Lasik surgery can completely makes your vision perfect.If perhaps it makes; but slowly your vision will be poorer & poorer . So the most effective way to improve your vision is to do eye exercise in proper way and regularly .Yes, proper way is very important 0ther wise you can't get your perfect vision. So proper way of doing and regularity is very important. Today I'm going to give you Updated and proper methods for curing Myopia and makes your vision perfect. So without doing any delay I am going to write it. This is one of the most powerful and improved exercise to cure MYOPIA. First stand stright and keep your thumb in front of your eyes and choose a far point. Remember you have to choose far point which is clear to sèe i mean to say that having no any obstacle before it like trees, house, bushes etc..
First close your left eye and start viewing with right eye . Start focusing tip of your thumb with right eye only for about 10 seconds and with the same eye start looking and focusing the far point that you've choosen. Start doing the same process with your left eye keeping right eye closed and after that start focusing with your both eyes open. Do 15×times with right eye and 15×times with left and 20×times with both eyes .This is the most important and powerful exercise which cure MYOPIA. The second exercise is Palming. Palming means covering your eyes with your palm. First run your hands and make them feel warm .Then close your eyes and put your cupped palm of your both hands on your eyes & maintain it about 10 minutes. Remember Do not make any contact between your palm and your closed eyes and Do not create any unnecessary pressure on your face. Do 5 times 2 minutes each. This helps to relaxes your tired eyes . This is the simple method but don't avoid it being simple. Firstly close your eyes looking towards the sun at morning times or evening times. Make sun rays fall fully on your face .Then rotate your head slowly slowly in clockwise and to antilockwise direction as well. After 2 min open your closed eyes and try to look around the surrounding but not to the Sun .Do this 5×times 2 min each. First I would like to advice you to take 2/3 long deep breaths. Then start following exercise. Sit relaxly and bent knees slightly or you also can do this by standing but do not cross your hands. In this very first method you have to move your eyeballs .First try to see extreme right and then extreme left them extreme up and extreme down .After this then try to rotate eyeballs in clockwise direction and in anticlock as well .Blink twice before you change the direction. Repeat this 5 times on both direction.You can do this exercise morning time or whenever your eyes get strained or tired. This is the same exercise as we done in First step .You have to imagine a big eight (8) about 10 feet away from your standing/sitting position.Dont move your head while doing this .Do this first in one direction and then follow opposite direction. In this method you have to take a pencil or you can use your thumb too. and hold it at an arm's length.Just Concentrate on the tip of the pencil .Slowly then bring closer to the tip of your nose then you'll see 2 pencils at one point and farther keeping eye focused on tip of your thumb or pencil. Then you reduce the distance between between pencil and your eyes while doing horizontal movement (right to left / left to right). This is simple exercise .Just stand in front of the wall and try to write with your eyeballs .Dont move your head while doing this. First try to write big alphabets and then small ones. This is the last & very simple exercise you have to do at the end. In this exercise you have to do is just close your eyes tightly . (Remember don't use your hands) and then wide open your eyes as much as you can and starting viewing to the surrounding . Do this 5-10 times . These above mention exercise are powerful and improved exercises .So by doing this continuously you can gain your perfect shape of your eyes and you have not to face any blurry anymore & can see clear images . Hope you like it and comment below if you have any any problems..
THOR:RAGNAROK : "ALL you want to know About"
is a marvel superhero fiction movie movie .THOR is coming back after very long time .Finally the wait is over coz it is going to release on 2017 November 13 . This movie gained over 136 million views in very first day. THOR:RAGNAROK is directed by Taika Waititi .He says that In this movie he's bringing funnier tone than we've previously seen in THOR movies. So well I hope it will give some edge to the film. Chris Hemsworth is playing as Thor for the 5th time in his career. 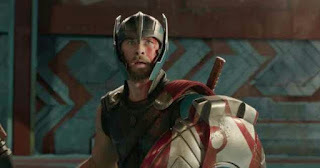 He is the main character of this film with his Mjolnir. In this movie we are going to see some new characters that we haven't seen yet her in this movie . The Incredible Hulk is coming back baby in THOR movie. Mark Ruffalo playing 4th appearance as Hulk in Marvel Cinematic universe. So we're going to see THOR vs HULK .This will be a incredible . And Tom Huddleston as Loki (Thor's brother) is also in this movie. He must be fighting with Hela or it is also possible that he joins em'. Cate Blanchett as Hela . She is a long time Marvel villain .She is Goddess of Death . The most exciting part is she not only catch Mjolnir (Thor's greatest weapon) but crushes into pieces easily . Its So weired to see that we see nobody able to lift it up but she Crushes so easily .OMG it's so unbelievable. This will probably happening early in the film. And she's ruling over Asgard. Tessa Thompson as Valkyrie . Jeff Goldblum as "Grandmaster " who oversees the gladiatorial contest so Thor finds himself a part of Hulk .Its also the debut of Goldblums in the Marvel Cinematic Universe. SO this will be so much exicting to watch this movie with new incredible members as well as incredible hulk .This movie Suerly hitting worlds record . LALIT BAM. Picture Window theme. Theme images by Dizzo. Powered by Blogger.